Ancient hilltop monasteries and other now-tumbled, stone fortifications that were built over the centuries, lie littered about these richly historic lands of north central Spain. 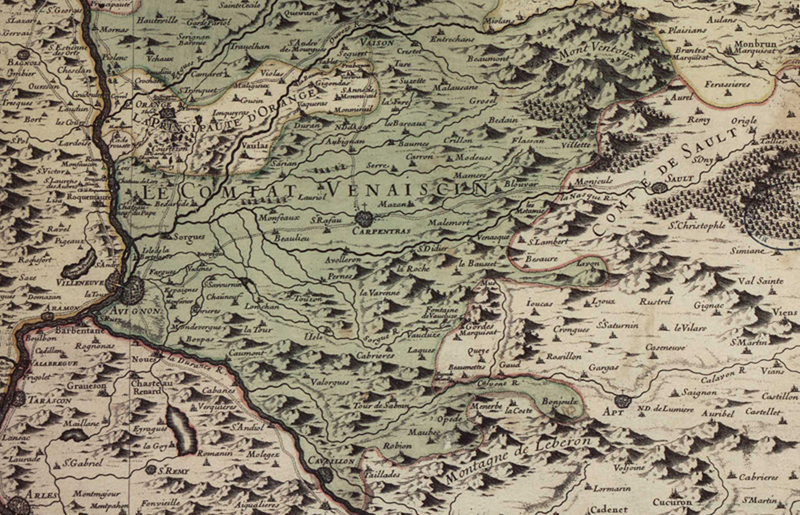 Sharing a border with the former, French influenced, medieval kingdom of Navarre, the regional identity of Rioja is equally distinct on its side of the modern day boundary that’s framed by the Pyrénées Mountains. Apart from holding a unique and dynamic place in a very diverse, Spanish cultural patchwork, this region’s vintners are continuing to build on their leadership role as some of Iberia’s most competitive, progressive, and resourceful wineries – while outputting 280 million litres of wine, annually! 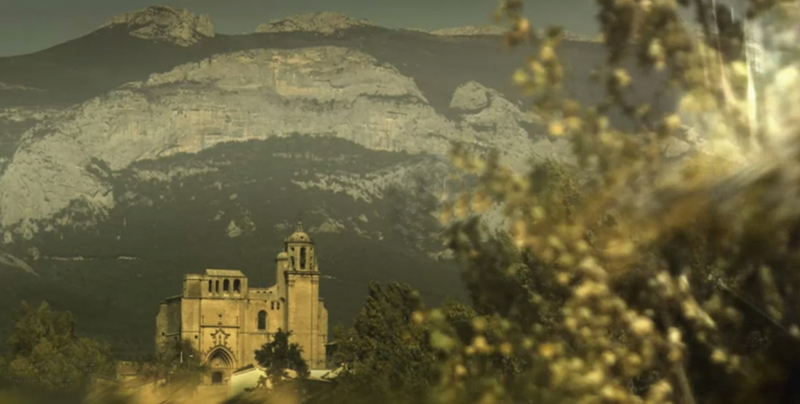 The designated wine denomination of Rioja is comprised of three sub-regions: Rioja Baja, Rioja Alta and the source of this week’s DéClassé focus, Rioja Alavesa. Considered a part of Basque country, this geography is sheltered by the Sierra Cantabria ridge of mountains and is home to 400 hectares of vines either owned or managed by Bodegas Luis Cañas. Their vineyards are widely distributed over 900 small individual plots, so drawing fruit evermore discerningly has been both the challenge and the key strategy pursued by the vintner toward producing an expanding range of premium wine. Once focused only on less-remarkable, bulk-winemaking, the steady process of upscaling quality by employing advanced production techniques has also been influenced by the agricultural reality of prolonged drought. In the current period of the last 5 growing seasons or so, this stress is condensing yields but is also bolstering the layered character of the smaller grape clusters. Nonetheless, impressively, this irrepressible Bodega remains capable of producing more than167, 000 cases of fruit yearly – in a virtual desert! 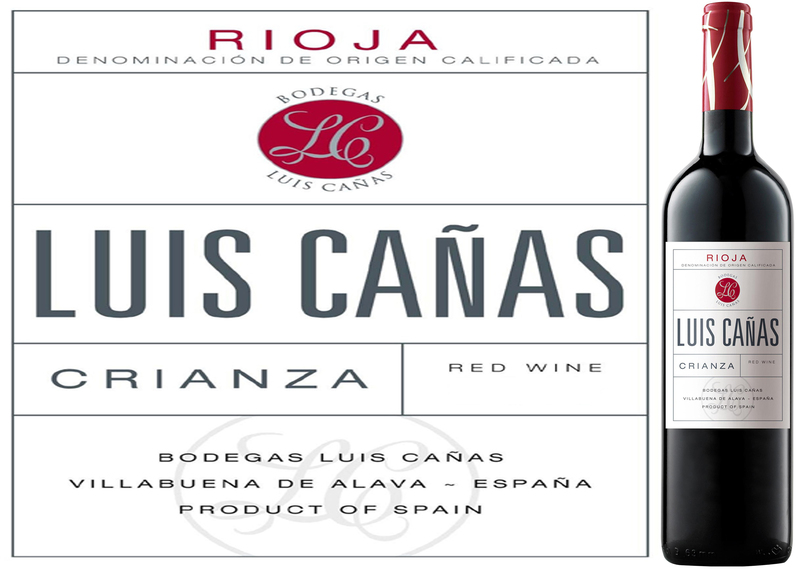 As an example of a modern Rioja style, Luis Cañas Crianza 2014 blends 95% Tempranillo grapes with a small splash of Garnacha (Grenache) to top up its fruitiness. Making up ¾ of all rootstock planted in Riojan vineyards, Tempranillo’s name is derived from Temprano meaning ‘early’ – and it does reliably ripen quite early. The Crianza designation ensures that it has spent at least one year in oak casks and another in the bottle before being released. The use of mellowed 3-year-old French barrels coupled with the starring grape’s naturally soft tannins translates into a supple and pleasing mouthfeel. Albeit still youthful, this lively and medium-bodied red is ready-to-go and may become somewhat more velvety as it settles. Though not destined for long-term storage, you can certainly dare to hold this well-crafted example of the 2014 vintage for at least several more years. For those with less will, be encouraged in knowing that Rioja’s 2015 harvest, also anticipated as very good, is almost on its way – to replace the empty slots on your rack. apéritif with semi-ripe cheeses and spicy tapas. What is perhaps less well known to longer-term readers of DéClassé, is that along with their primary output of signature, blended red wines, the Côtes du Rhône vineyards also produce a small host of notable white grapes and related wine styles: Clairette Blanche, Bourboulenc, Marsanne Blanche, Viognier, Muscat Blanc, and in the case of this week’s featured bottling — a blend of 80% Roussanne with 10% splashes of Grenache Blanc and Ugni Blanc that qualifies for Côtes du Rhône AOC (Appellation d’Origine Controlée) standards. The Famille Castor, comprised of 5th generation winemakers, Gérard and Jeannette, along with their inheriting sons, Jérémie and Raphaël, now the 6th in the lineage, are demonstrating that there are few shortcuts in mastering the juggling act of expanding vineyard holdings from 7 to 150 hectares, developing a distinctive character in their wines, and being commercially viable at very approachable price points. 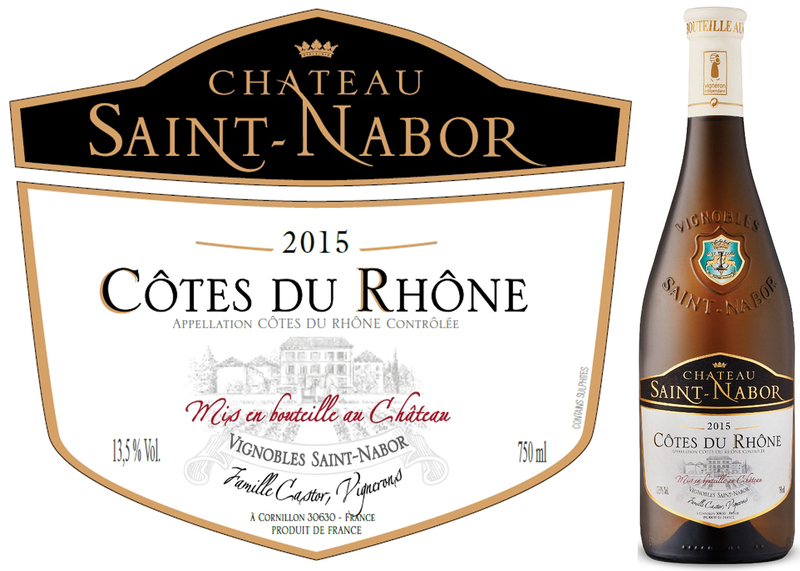 Look no further than here in this DéClassé featured bottling of Château Saint-Nabor Côtes du Rhône White 2015 – for very convincing evidence that it’s possible to keep ‘all the balls in play.’ At home in the nearby medieval village of Cornillon, their father, the mayor, still keeps a watchful and supportive eye on his sons’ stewardship at the winery. I’ll muse that he has very little to fear, concerning the immediate future and the continued success of the family endeavour. To this end, you could make a small contribution by picking at least 3 or 4 of these attractive bottles – at $13.95, why wouldn’t you? Stone fruit, delicate tropical notes, and a hint of waxed honey mark the flavour profile of this somewhat more unusual, mid-bodied white wine. Perfectly satisfying as an apéritif with salmon canapés, pear, camembert and prosciutto wraps, you might also try serving this alongside a cold platter of smoked fish or mildly spiced Asian and Indian dishes.